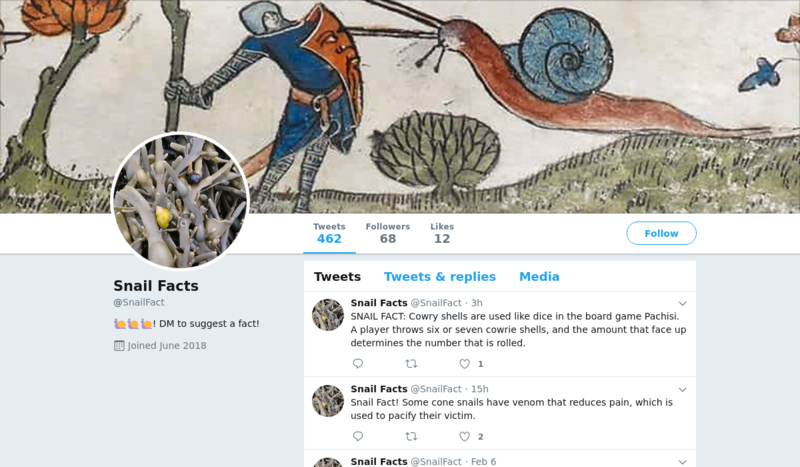 @SnailFact is a Twitter bot created by Heather Johnson that tweets facts about snails. snact (snail fact): Most land snails have two pairs of stalks on their heads. The upper pair holds their eyes, while the lower pair is used for smelling. SNAIL FACT: Snails can't absorb pigments from paper or cardboard, so if they eat paper or cardboard, their poop is colored! !